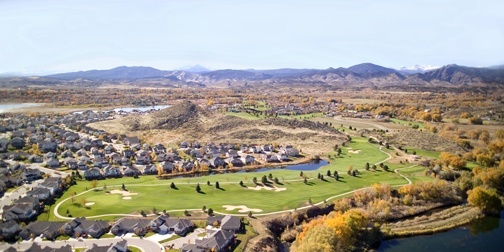 Mariana Butte, Loveland, Colorado - Golf course information and reviews. 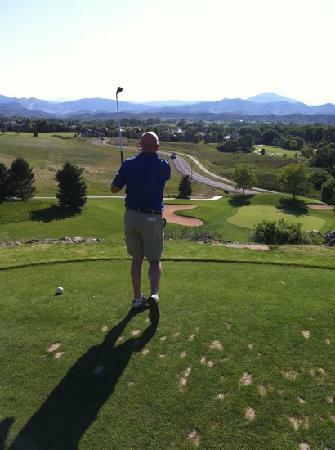 One of best golf courses in Colorado, especially at this price. 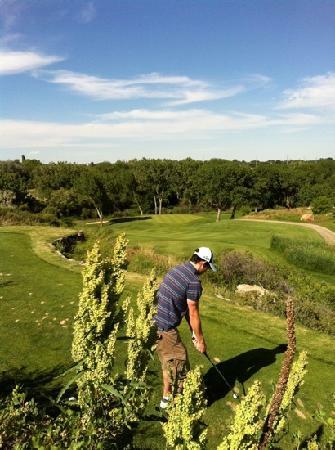 The 16th hole from the blue tees is the most dramatic golf hole I have played in the state. Great views of the front range including Longs Peak and the Mummy Range in Rocky Mountain National Park. 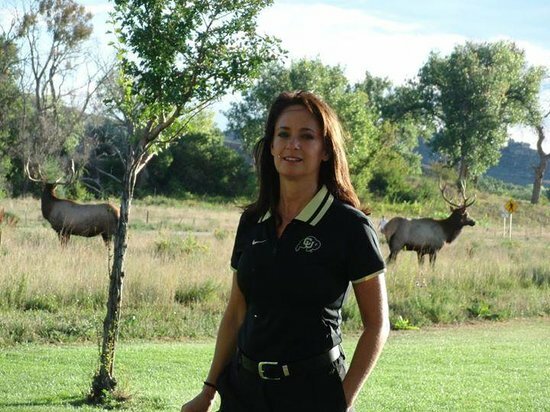 Deer and elk are often seen on and around the course, although as more homes are built the wildlife will undoubtedly be less abundant. 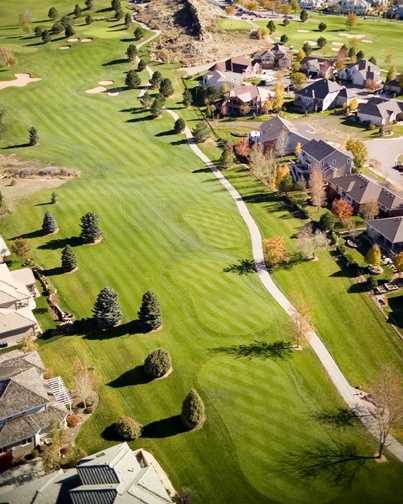 The front nine is relatively flat and winds around 3 large ponds and a small but strategically located stream which contains a number of large cottonwoods which definitely come into play if you're not careful. The back nine has marked elevation changes with 4 dramatically elevated tees. 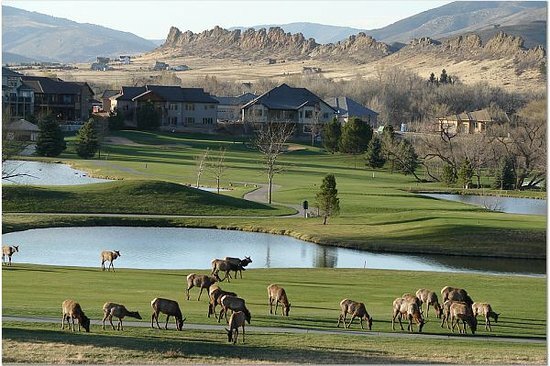 The Big Thompson River runs along the northern edge of 4 holes and the Morey Wildlife Preserve marks the western edge of #16. Multiple greenside and fairway bunkers are fair but require accurate shot making. The front side is a relatively easy walk, but the back nine is a real bear due to the elevation changes. Unless you're in pretty good shape a cart is recommended for those over 40. Pros: Well designed and absolutely gorgeous layout. Great dollar value. Cons: A bit too short for a championship track, but challenging enough for most, especially from the blue tees. Clubhouse is pretty pathetic, but a new one is being built, due for completion mid 2009. Add a course review for Mariana Butte. Edit/Delete course review for Mariana Butte.